Ford teammates Cole Custer and Austin Cindric battled for their first short track win Friday night in Richmond, VA. But it was the No.00 of Cole Custer that finished top of the class, winning his second race of the 2019 NASCAR Xfinity Series while Cindric finished second. The No.00, Stewart-Haas Racing, Ford Mustang powered by the Ford FR9 Carb engine led a total of three times for a race high 122 laps in total. 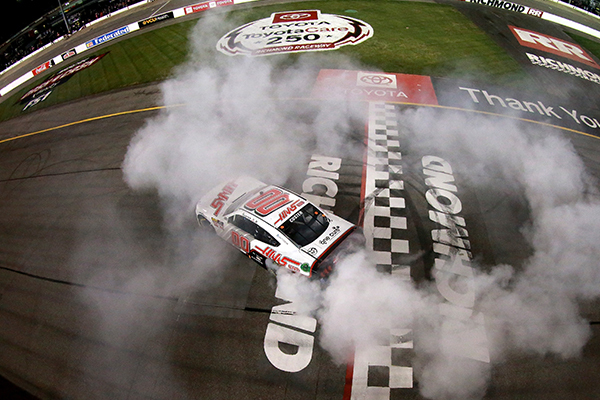 But it was the last 20 laps of the race which sealed the win for Custer. 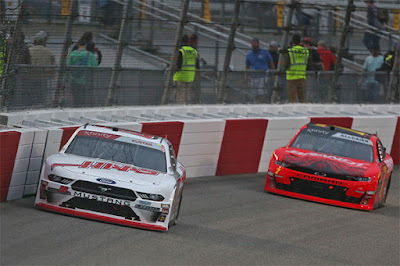 Custer’s patience and maturity showed during the closing 20 laps of the race, as he battled fellow Ford Performance teammate Cindric for the final lead on lap 231 and took the checkered flag 2.639 seconds in front of Cindric. 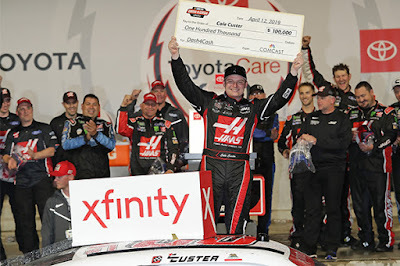 Custer “cashed in” on the weekend, not only winning for the fourth time in his career, but also claiming the $100,000 Xfinity Dash-4-Cash bonus check. 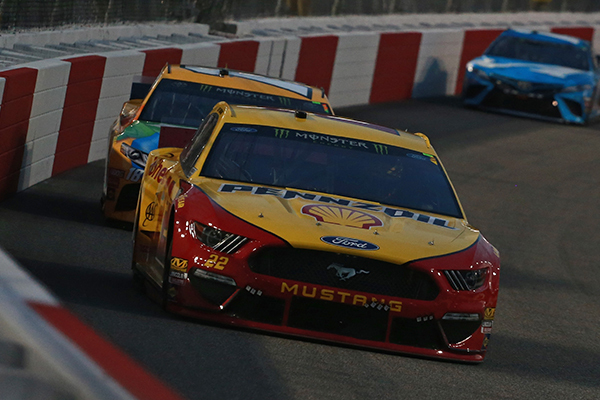 After a strong qualifying performance on Friday night, by the Monster Energy NASCAR Cup Series, Ford Mustangs, No. 4 Kevin Harvick captured the pole position at Richmond Raceway, while Team Penske teammates, Joey Logano and Brad Keselowski lined up third and eighth, and Paul Menard ninth. A total of six Ford Mustangs finished in the top-10 of the race, led by Stage 2 winner, Logano in P2, Stewart-Hass Racing teammates Clint Bowyer and Harvick in P3 and P4 respectively. 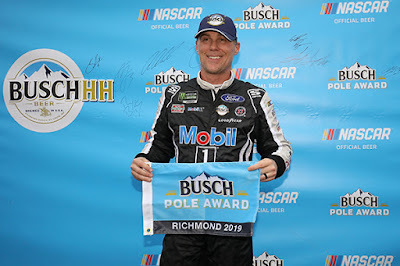 In addition, Keselowski finished P7 with Roush Fenway Racing’s Ryan Newman in P9 and the Wood Brother’s Racing, Paul Menard in P10. On the West coast, Ford Chip Ganassi Racing, with the No. 66 and No. 67 Ford GTs were in an epic battle in the Bubba burger Sports Car Grand Prix Street Course. But it was not meant to be, as the No. 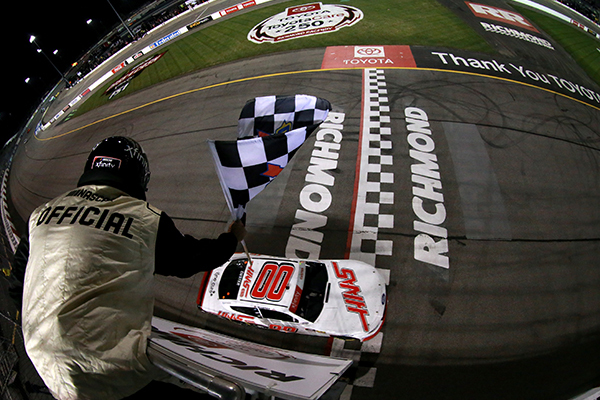 66 came up short on fuel, on the last lap of the race, to finish P4 while the No. 67 finished P6. NASCAR and IMSA will take this weekend off. 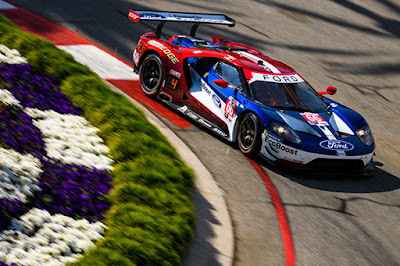 The NASCAR teams look forward to Talladega on April 27-28 and IMSA will be back in action on May 4-5 at Mid-Ohio, along with the FIA WEC on May 4 in Spa, Belgium. Reference the full 2019 schedule on www.roushyates.com.